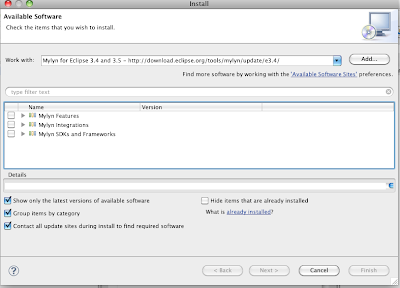 Eclipse Mylyn allows you to integrate with task managers such as Bugzilla or JIRA. The idea is to pass from typical uncoordinated development to more task-oriented development, so that you can estimate a task’s duration and associate a particular context (classes, methods, attributes) with it. 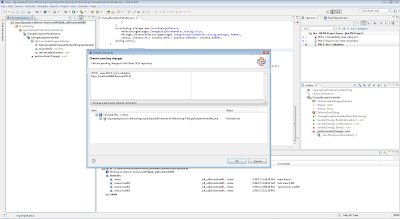 These contexts are,integrated with the version control system which then interacts with the development environment and issue tracking system used by the company. Retrieve tasks: from an issue tracker system such as Bugzilla or Jira. 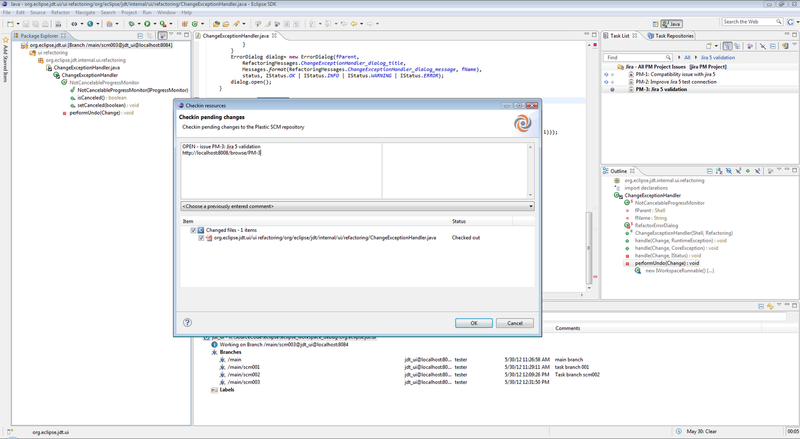 Filter context depending on current working task (context provider): It allows the developer to filter the Eclipse resources that are related with the current active task. It's very useful for large projects, when working on a task which only changes a few resources. The main idea is improving the typical uncoordinated development. 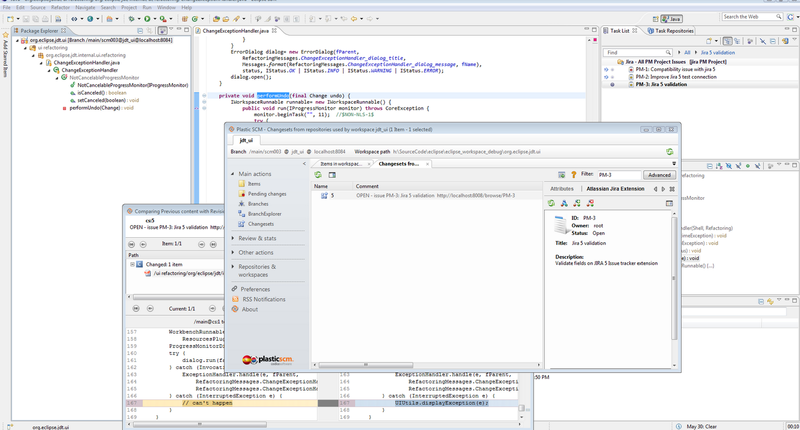 Eclipse Mylyn is integrated with the version control system and with your issue tracker. By making task context explicit, Mylyn also helps with multitasking, planning, reusing past efforts, and sharing expertise. 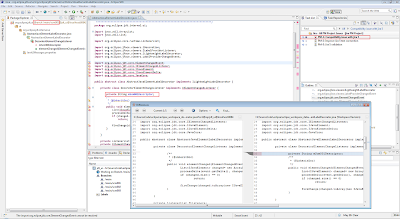 Mylyn requires Java 5 or later. The easiest way to get it is to download one of the packages that contains it. Local Tasks: provide basic task management features. They are private so only the owner can see them. 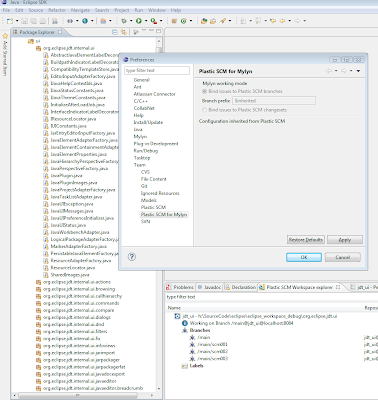 The Plastic SCM Mylyn plug-in will try to match the selected task identifier in Eclipse with a branch, and will propose that branch to switch to, before changing to the selected task context. 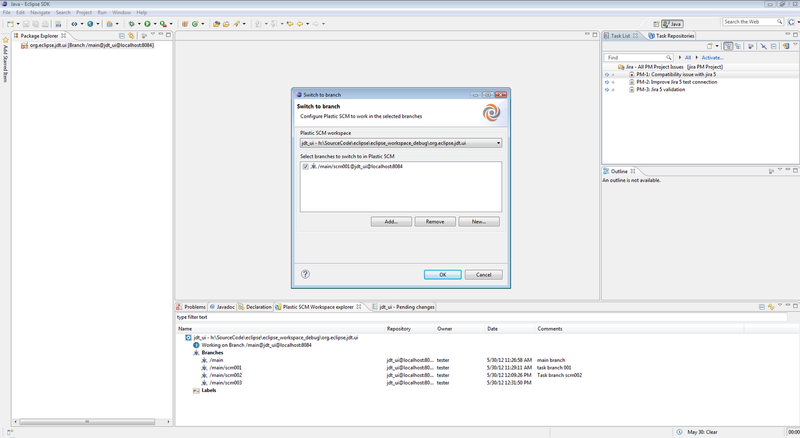 The Plastic SCM Mylyn plug-in will link the commits created when a task is activated to the corresponding task in the issue tracker system, as the Plastic SCM GUI does. 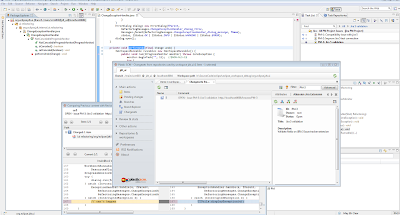 Also, the comments template will inherit the format from the Mylyn configuration (although it can be changed). 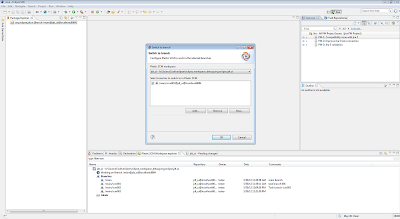 The Plastic SCM Mylyn plug-in does not inherit the SCM configuration from the Plastic SCM GUI client. 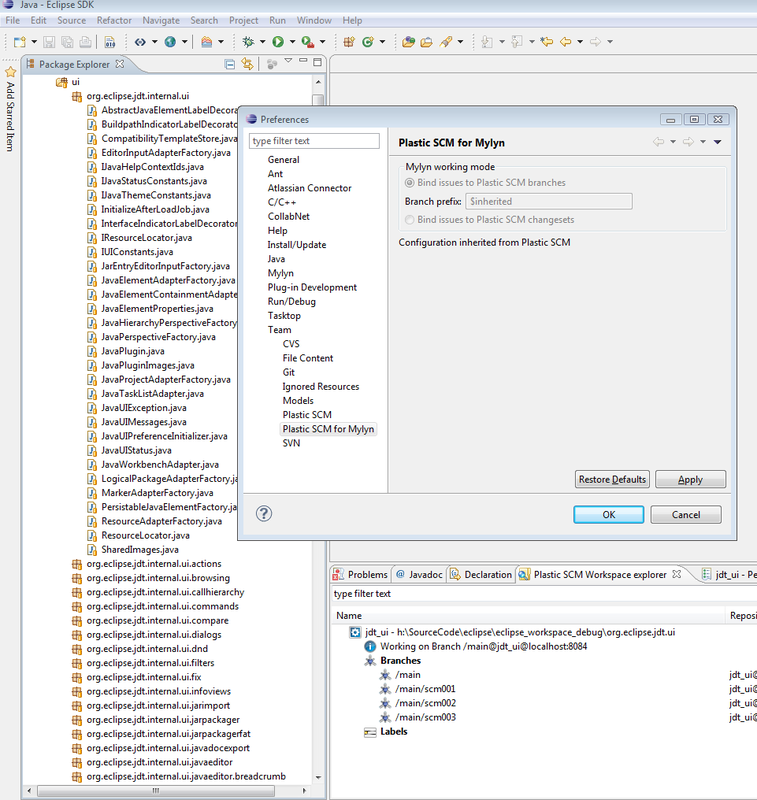 The Plastic SCM Mylyn plug-in will allow the user to specify a prefix for branches that can be matched with a task on the issue tracker system. No interaction with external issue tracker system is performed. In our example, we are going to use JIRA as our issue tracking system. 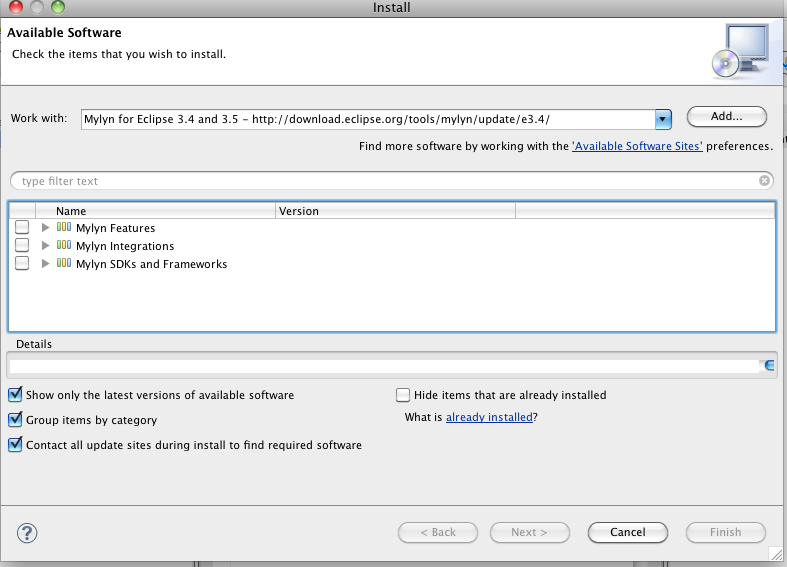 The next figure shows you in Eclipse Preferences -> Team, all the version control systems you can choose. In our case, we selected: Plastic SCM for Mylyn. Bind issues to Plastic SCM branches. 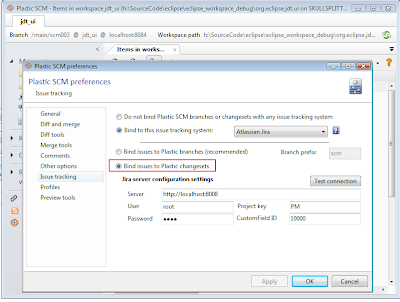 Bind issues to Plastic SCM changesets. When you choose “Bind issues to Plastic SCM branches”, there is an option to select Branch Prefix. The next figure shows you how we selected the Plastic SCM workspace and the branches to switch to in Plastic SCM. 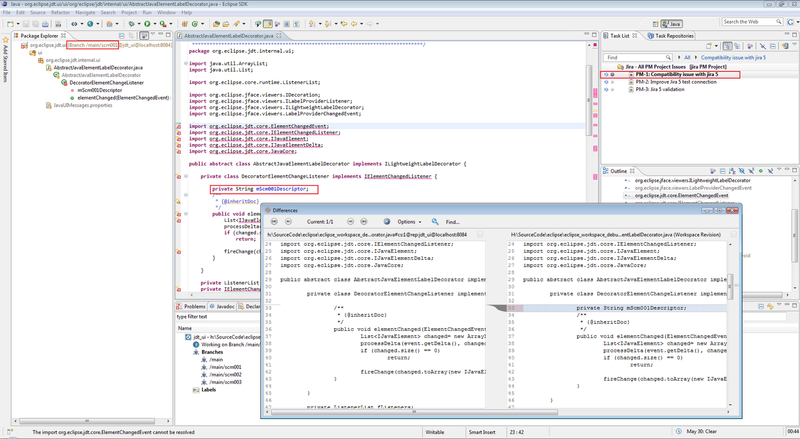 When the task is finished, the Plastic SCM Diff Tool View shows you the differences between versions. 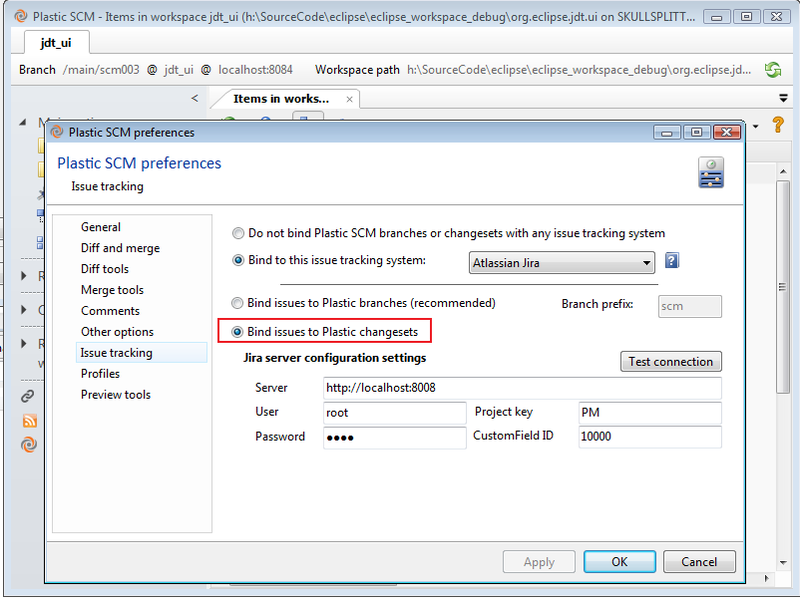 The other option that Plastic SCM for Mylyn supports is: Plastic SCM changesets. This next figure shows Plastic SCM checking the pending changes. And you can verify your changeset after check-in.. Enjoy our favorite Flickr Plastic SCM -Mylyn photos! !